We are a 3 rd generation, family company which has been helping companies with their packaging for 70 years. Our success is founded on supplying high quality packaging products and services with traditional values of integrity and reliability. By listening and promptly responding to your needs we will find you innovative and appropriate packaging solutions. Our 5 acre site is situated in South Birmingham, close to the Midlands motorway network, from where we run a fleet of vehicles. We also work closely with courier partners so that we can deliver your packaging next day, throughout mainland UK. This year marks our 8 th Anniversary of selling packaging materials online. We believe in the importance of excellent customer care and have an excellent track record of providing high quality products and service to create partnerships which achieve trust, flexibility and reliability. We have worked within a recognised quality standard since 1992 and are accredited to BS EN ISO 9001:2015. Stock Products – We offer next day delivery for thousands of products. We work closely with high quality manufacturers such as Vibac, Colompac, Mure & Peyrot and Martor. Customised Products – Our In-house printing department offers flexibility and short lead times. See our bespoke section for further details on how we can provide eye-catching packaging which provides best fit for your product and reinforces your brand. Customer Service - Your dedicated Sales Account Manager offers consultancy and advice. Find out more. Keep up to date with all our latest Company News, Product Launches and other events here. Significant developments of the site. We start manufacturing cartons and corrugated cases. Tape machinery is installed to convert and print vinyl (PVC) packaging tape. 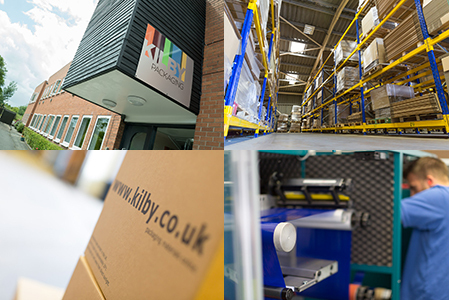 Offices and warehouse built at Northwich, Cheshire to fulfill our growing demand for packaging in the North West. Quality and consistency is very important and we are awarded our Quality registration. Our first website goes live in 2000. Further investment in printing machinery and logistics. Refurbishment of the site and offices including new training, demonstration and display room for our vast product portfolio.